Home News Andy, Andy, Andy! On Sunday at STADE IGA, the newly crowned world no.2 Andy Murray of Great Britain disposed of Novak Djokovic of Serbia in three sets (6-4, 4-6, 6-4) in the final of the Rogers Cup presented by National Bank. 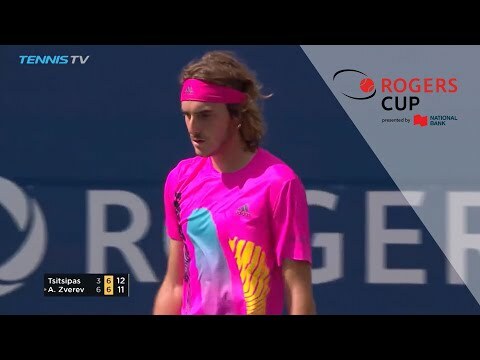 In the epic three-hour battle, the man from Scotland raised his third Canadian trophy and joined the ranks of other three-peaters Novak Djokovic, Andre Agassi and Rafael Nadal. He also ended an eight-match losing streak to the world no.1, bringing his record against him to 9-19. The outcome of the match was uncertain until the late stages. Despite the extreme heat and humidity, the titans saved break after break to stay alive. Murray converted only four of the 19 chances he was given. Djokovic capitalized on three of 19. Today’s loss was Djokovic’s fourth this season and his second defeat in a final. After breaking Djokovic at the start of the third set, Murray seemed to be heading straight for victory. But at 2-5, he flinched and wasted four match points and was only able to put an end to the hostilities at the fifth opportunity he was given. Murray scored 119 points in the match versus 112 for Djokovic, who was suffering from pain and numbness in his right arm. The 2015 Rogers Cup is Andy Murray’s 35th career title. His illustrious opponent holds 54.